This is a creamy soup that feels totally indulgent. It’s the type of soup that you would think had a boat load of cream and butter, but has none. You can load up on seconds and your body will thank you for the extra nutrients. Plus, it takes less than 30 minutes to throw together and it’s so smooth. 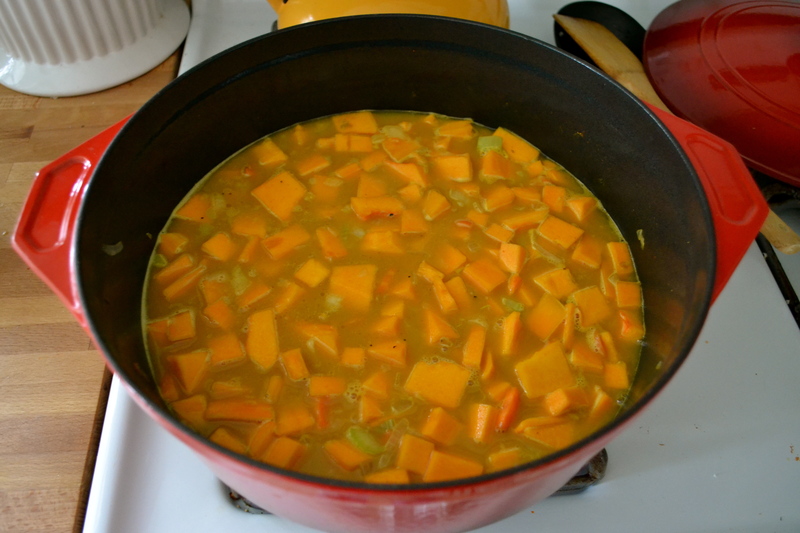 I use an immersion blender to puree the soup after the butternut squash is cooked, but you could also transfer the soup to a blender in batches. Just be careful of hot splattering soup….I speak from experience. Nothing like getting hot soup in the eye and face. The prime difficulty in this soup is carving that dang butternut squash. Cut the squash in half, remove and discard the seeds. Cut the squash into disks. Then, trim off the skin. Dice the flesh in 1- to 1/2-inch cubes. 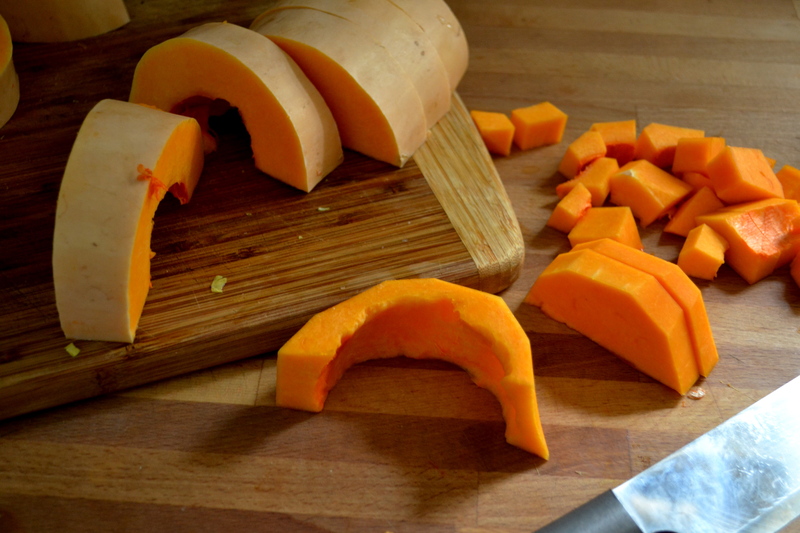 If you can’t find butternut squash or are in a time crush, luckily, many grocery stores sell frozen pre-cut butternut squash that will work like a charm. 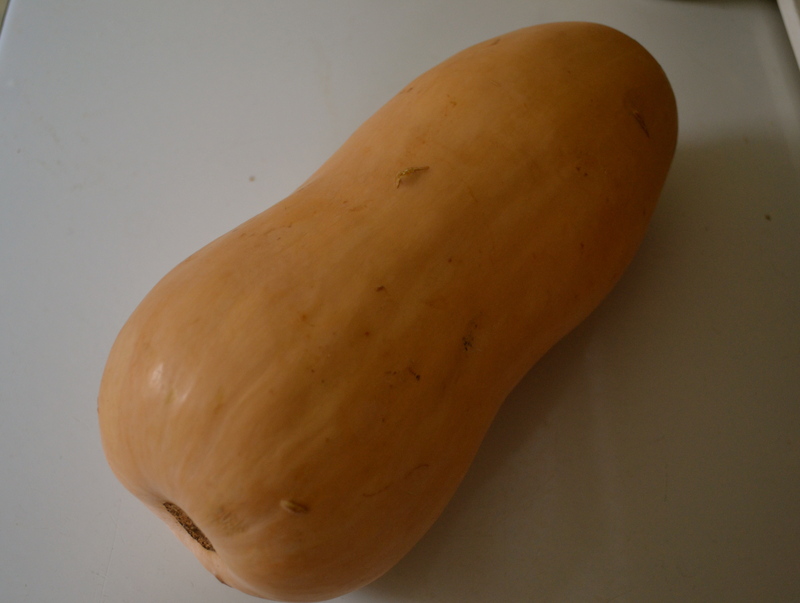 I still had a honken huge butternut squash left from my garden that I harvested early in the fall. Winter squash and sweet potatoes are my favorite thing to grow because they keep for so long. I can hoard my fall-harvested crop in our basement throughout the cold winter. They are like little treasures when it is so barren and cold outside. Throwing this squash into a bowl of warm and comforting soup, reminds me that in a few months, spring will come back and I will soon be able to start planning my garden, growing plants, working the soil, and eagerly anticipating my yield. I don’t think about the part where the stupid squirrels eat my yield and the sun scorches up the ground. Anyways, you should make this soup. Any good curry powder will do. You could also go a thai route and throw in some red or green thai curry paste and some coconut milk. Dang…why didn’t I do that. Next time. next time. Heat oil in dutch oven or large pan over medium-high heat. Add onion, carrot, and celery. Sauté for 5 minutes, or until onions are translucent. Add garlic and curry powder. Saute for 1 minute or until spices are fragrant. Add butternut squash and broth. Bring to a boil. 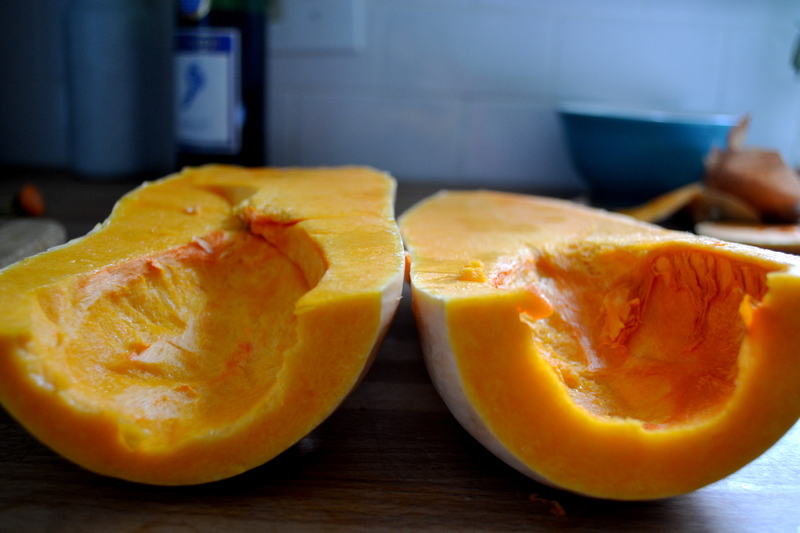 Cook for approximately 20 minutes or until squash is cooked through. 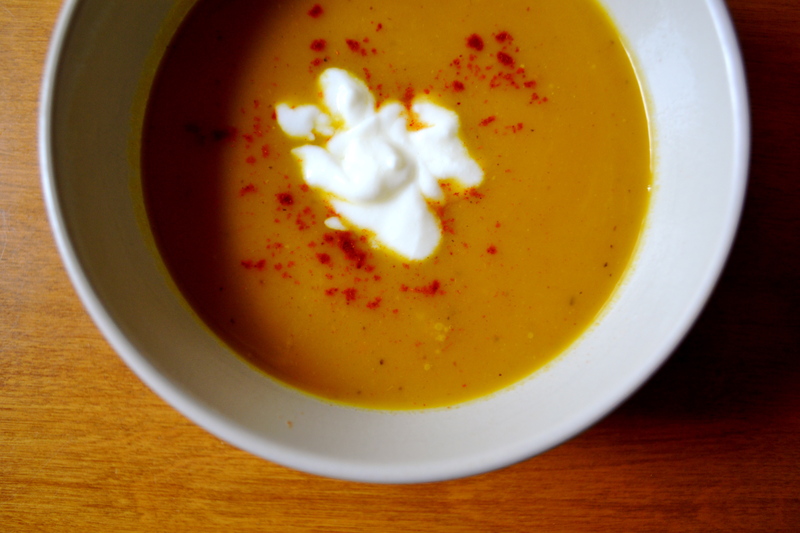 Use an immersion blender to puree the soup or transfer the soup to a blender in small batches. Once the soup is completely pureed, add salt and pepper to taste. Ladle into bowls. Top with a tablespoon of greek yogurt.